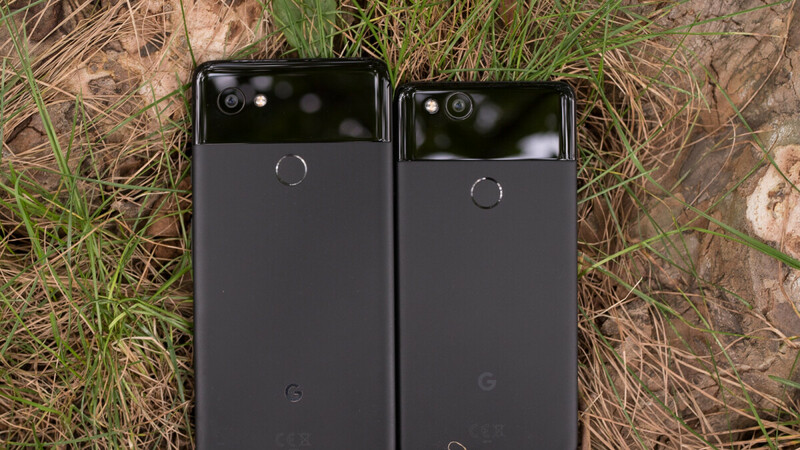 Google’s Pixel 3 and Pixel 3 XL smartphones are on sale... yet again, starting at $649 and $749 respectively, down from their $799 and $899 list prices, but Android purists on even tighter budgets shouldn’t despair. That’s because the Pixel 2 and Pixel 2 XL are themselves heavily discounted right now on the official online US Google Store, fetching $549 and $599 respectively with 64GB storage space. The baby Pixel 2 is thus at a new all-time low price, previously setting you back $649 and up. Yup, even after the Pixel 3 and 3 XL were officially released. The 5-incher finally scored a modest $50 markdown last month, which Google is now boosting to a cool 100 bucks. Unfortunately, the unlocked variant is listed as out of stock at the time of this writing in both “Clearly White” and “Kinda Blue” color options, which forces you to “choose” the “Just Black” flavor. Or you can go for a Verizon-locked model and pick between black and blue paint jobs. As far as the Pixel 2 XL is concerned, it appears last month’s discounts have been renewed through March 31 “while supplies last and subject to availability.” The thin-bezeled, no-notch 6-incher starts at $599 again, fetching $100 more with 128 gigs of internal digital hoarding room instead of 64GB. Keep in mind that this jumbo-sized stock Android-powered handset used to cost $849 and up back in the day, although those times are obviously long gone. It’s also worth pointing out that the Pixel 2 is no longer available through either Best Buy or Verizon, with the Pixel 2 XL up for grabs from the third-party retailer and market-leading carrier at a substantially higher price than what Google currently charges. Lol, "discounted" 2017 Pixel that's still more expensive than some flagship 2018 phones... Google has their head in the clouds. Since google rename Nexus line to Pixel, it believe it mean to compete with high end brand name like Apple and Samsung not oneplus or Hauwai As consumers I can see google is crazy with those price. Last 3-4 years, I don’t see any OEM sway me away frim Samsung, because the convience of Samsung Pay. I had tried many other, but keep switch back Samsung after a week or two.